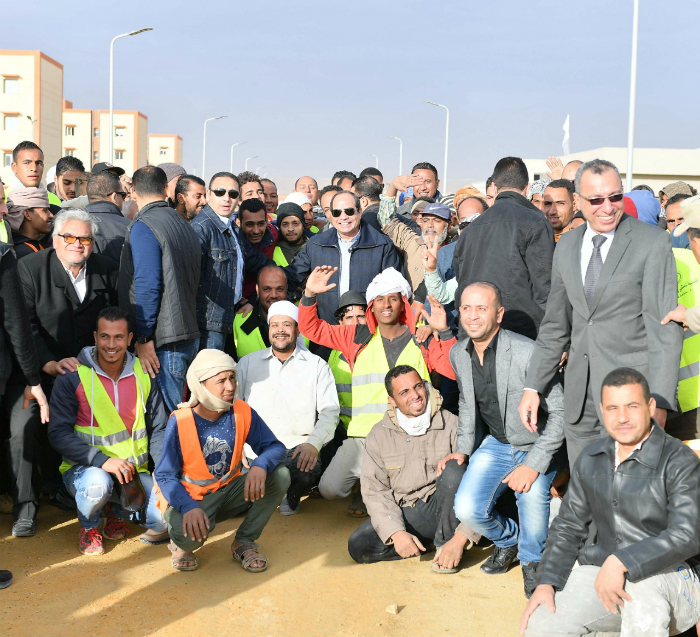 Egypt's President Abdel-Fattah El-Sisi toured early on Thursday a number of mega development projects in Ain Sokhna and Gabal El-Galala areas on the Red Sea, a statement by the El-Sisi’s spokesperson Bassam Rady said. At El-Galala, the president visited the strategic reservoir complex, which comprises six reservoirs with a storage capacity of 120,000 cubic metres. 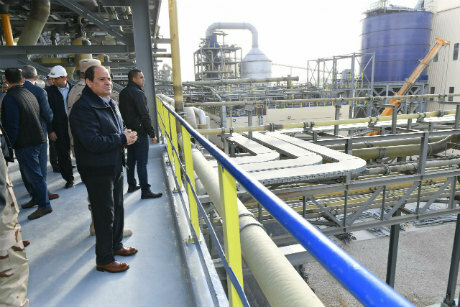 El-Sisi also inspected four water treatment plants in the area, and the water levers that will supply El-Galala's needs. He also inspected eight marble factories with a total annual capacity of 24 million square metres annually, and a granite factory with an annual capacity of 1 million square metres. 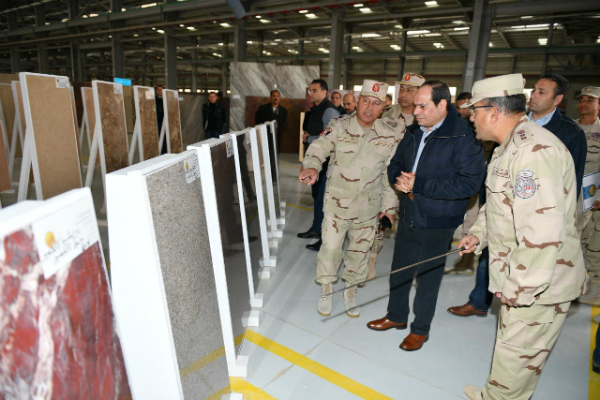 Rady explained that the president inspected the first three factories of their kind in Egypt for marble production, marble blocks and concrete products. The first factory has already started production and the other factories are due to be completed on 30 June 2020. El-Sisi also visited the under-construction El-Galala University, which comprises 14 faculties specialised in agriculture, medical sciences, and architecture, as well as an international conference centre and dormitories for students and faculty. The president's tour also included the residential district, tourist resorts, aerial carrier, restaurants, and shops at El-Galala City. El-Sisi also visited a mountain hotel at El-Galala resort, which has a 298-room capacity, conference centre and swimming pools. The projects will provide more than 150,000 jobs in all fields. They are implemented by more than 100 Egyptian companies and engineering consultancy offices under the supervision of the Armed Forces Engineering Corps. 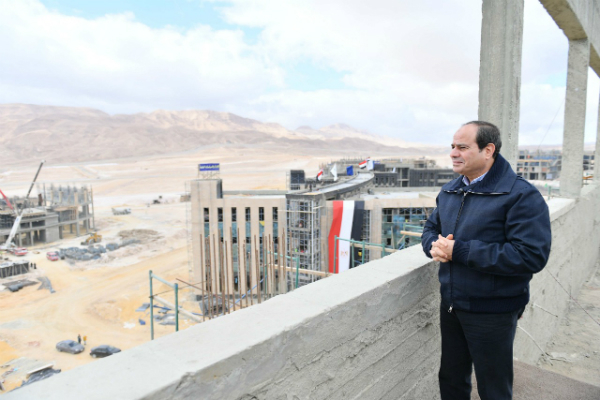 El-Sisi praised the efforts exerted to complete these projects on schedule. He said that these projects go towards achieving comprehensive development through the establishment of new integrated urban communities that provide a decent life and a better future for the Egyptian people. The president also met with a number of engineers, contractors, and employees of the Egyptian companies executing these projects.